٥ Singer Rihanna arrives at the Metropolitan Museum of Art Costume Institute Gala (Met Gala) to celebrate the opening of “Heavenly Bodies: Fashion and the Catholic Imagination” in the Manhattan borough of New York, May 7, 2018. ٦ Actor Blake Lively arrives at the Metropolitan Museum of Art Costume Institute Gala (Met Gala) to celebrate the opening of “Heavenly Bodies: Fashion and the Catholic Imagination” in the Manhattan borough of New York, May 7, 2018. 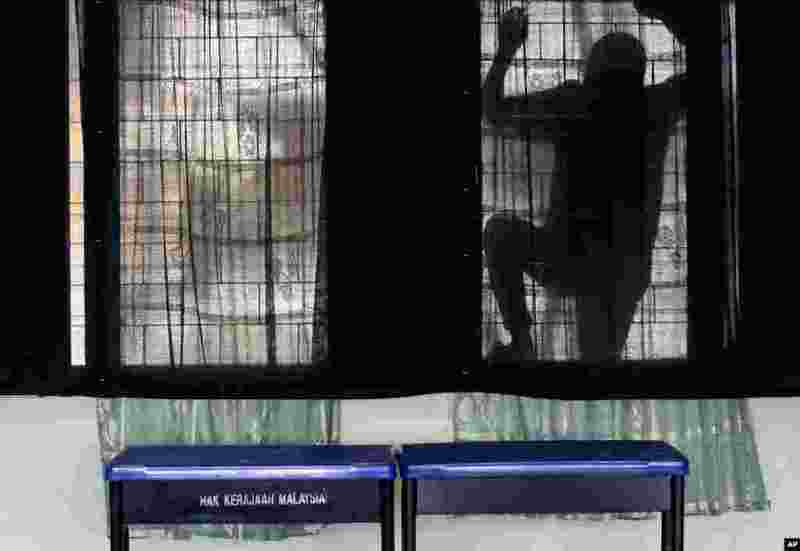 ٧ An election volunteer cleans the glass windows at a voting center in Pekan, Pahang state, Malaysia. 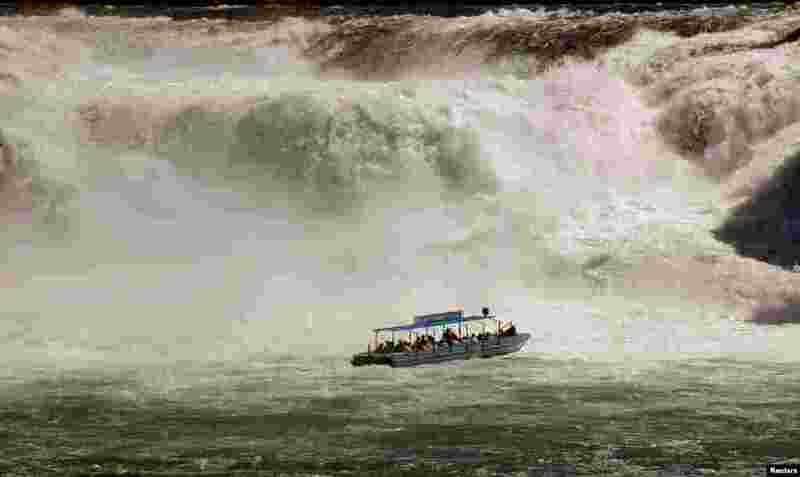 ٨ A tourist vessel sails past the Rhine Falls, the largest falls in Europe, during sunny spring weather in the town of Neuhausen, near Schaffhausen, Switzerland.